Luxury Teas that boost your Immune System. I’m on a bit of a health drive at the moment. Badly timed I know but nevertheless, much-needed. So, it was my good fortune that a box of tea landed on my doorstep yesterday courtesy of Bloom. Their teas have won awards and grace the shelves of Selfridges and Harvey Nichols-exactly where they belong in my opinion because not only are they excellent teas but they look good too! In this day and age, everything has a status even the once humble ‘cuppa’. 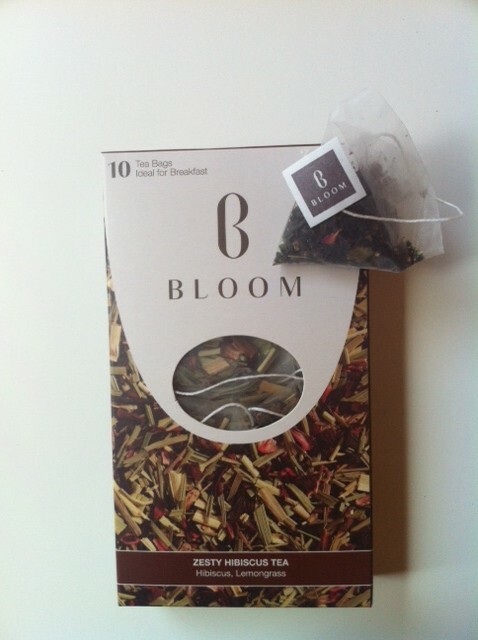 There have been many speciality teas over the years but Bloom look like they are supercharging the market. Their teas look good, taste good of course (none of that overpowering nonsense either, just ‘subtle and delicious’ as my sister put it having tried the lemon verbena and ginger root) and then they come in to their own; each masterfully blended 100% natural tea is packed full of anti-oxidants which boosts the immune system and protects against free radicals. So, you can sip away happy in the knowledge that you are giving you body a healthy boost. They offer a ‘5 Step Tea Treatment plan’ which to you and me is basically a tea to accompany breakfast to energize and kick-start metabolism, a mid-morning tea to de-stress whilst you work, packed with jasmine, echinacea, green tea and rose petals, a delicious digestion tea with peppermint, fennel and aniseed for a post lunch cleanse, a Concentration tea to stave off that mid-afternoon lull we often feel and lastly, one of my favourites, the Relaxation tea made with rooibos, elderflowers, vanilla and liquorice.